Welcome to Morley's Floor Covering We have an A+ Rating with the Better Business Bureau With over 35 years of experience, Morley's Floor Covering is Adrian, Michigan's, top source for your carpet, vinyl, harwood, laminate, ceramic tile and custom window treatment needs. Whether you want floor coverings or window treatments our courteous and professional sales staff is ready to help you. Locally and family owned / operated, Darren and Scott Morley of Morley's Floor Covering, are ready to help you create a beautiful environment for your residential or commercial application. Morley's carries all styles and textures. From patterns to geometric designs, or bold solid colors to soft twists. Many are designed to hide traffic and soiling. Our variety of products and services allows you to pick the perfect floor for your home or office. Stop and visit Lenawee County's only Shaw Flooring Gallery, offering the widest selection of Shaw products on display from the nation's largest manufacturer of flooring. Shaw offers great value on every type of flooring for your home. 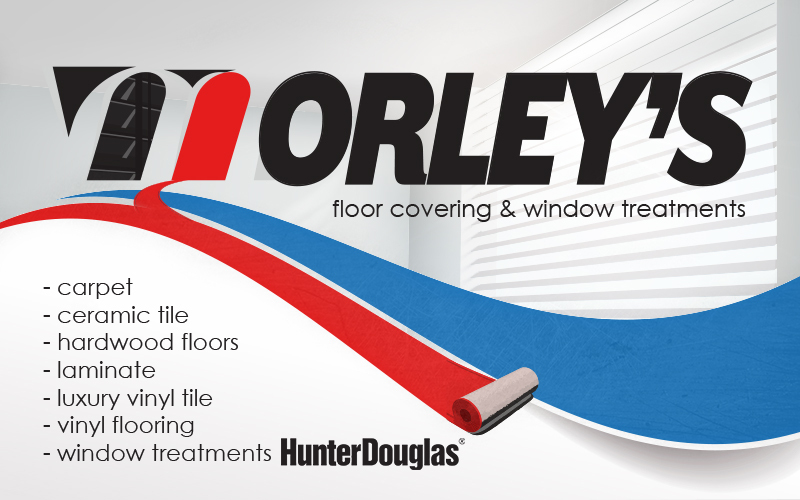 The sales staff at Morley's Floor Covering will help you find the floor covering that is perfect for you. Our personal customer service makes deciding which type of floor covering to purchase a simple choice. We can assist you in choosing your new floor covering or window treatments with products to fit every budget. Let one of our licensed, insured, and certified installers add beauty to your home or business. Contact us today and discover the difference Morley's Floor Covering makes for your floor. Come in and see our selection custom Window Treatments. Morley's Floor Covering carries a very nice collection of vertical blinds, horizontal blinds, pleated shades and designer pull shades. Let us measure your windows for a perfect fit.